Indian actress Priyanka Chopra says she cannot wait to begin work as executive producer of a comedy series about Bollywood's dancing diva Madhuri Dixit's life for US network ABC.The 34-year-old actress, who has made her presence felt in Hollywood, took to Instagram to share her excitement about the project. "One of the favorite parts of my job is to be able to tell stories across genres, languages and to a varied audience. Today I'm happy to share with you another step I've taken on that creative journey, in my role as a producer. This particular story is one of a few Hollywood projects that I am currently developing," Priyanka wrote. New York-based writer Sri Rao has penned the comedy series about Madhuri, who settled down in the suburbs of the US with her bi-cultural family.The "Dil Toh Pagal Hai" actress shifted her base to the US after her marriage to Dr Sriram Nene. Madhuri along with her husband and two sons returned to India in 2011. "The incredible Madhuri Dixit's real life has been the inspiration behind Sri Rao's amazing story, and I can't wait to work with the both of them to see how this will pan out," Priyanka said.."Again, it's unchartered territory for me, producing a show for American television, but I'm blessed to have a great set of partners in Mark Gordon Company's Mark Gordon and Nick Pepper, along with ABC Studios to develop and produce this very fun idea," Priyanka added. The former beauty queen says after having an "incredible experience" with Gordon and Pepper in the American thriller "Quantico", this seemed like a "perfect extension of our partnership". "I've only just begun and there is little I can share at this point about any of the projects, but I'm looking forward to rolling up my sleeves and getting to work. Stay tuned," she wrote. Actor Sidharth Malhotra is confident the audience will love his 'sunder, susheel, risky' avatar in "A Gentleman", in which he says he plays a double role with a difference. Sidharth, who has returned from London, told : "'A Gentleman' is a fun popcorn action movie and I am looking forward to play the two different characters. 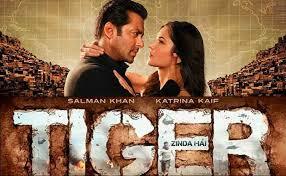 The movie showcases a new twist on double role and it is surely not a typical double role movie. "While one is a regular hardworking boy, who has it all sorted out in life and is looking for a compatible girl to marry. The other role is one of a guy who is ready to fight everyone with his aggressive action moves. I am eagerly waiting to show the world both characters... I'm really excited to bring the action-comedy genre back with style." The film, directed by Krishna D.K. and Raj Nidimoru, also features Sri Lankan beauty Jacqueline Fernandez. Sidharth says his attempt is always to "ensure portraying different roles and work on interesting scripts". "I feel it is essential as an actor to widen the horizon and experiment with character portrayal. I feel the movie has a perfect blend of romance, action and comedy with a pinch of drama," said the actor, who has earlier featured in movies like "Student Of The Year", "Hasee Toh Phasee", "Baar Baar Dekho", "Brothers" and "Ek Villain".From the trailer of "A Gentleman", one can tell that Sidharth has worked hard to get the chiselled abs he sports.Talking about it, the actor said: "There is a lot of hard work and dedication that is put behind and the results are in front of all you. I make it a point to work out regularly, even during outdoor shoots. It does not necessarily need to be in the gym. While I was in London, I tried electrical musical simulation and I must say I enjoyed it a lot. "Meanwhile, he says he is enjoying "some great reviews across the audiences for the trailer (of 'A Gentleman') and the songs are already becoming top chartbusters".The movie, produced by Fox Star Studios, will release on August 25. Composer Pritam and American DJ-record producer Diplos song "Phurrr", featuring superstar Shah Rukh Khan and Anushka Sharma will change the concept of "everything free". Listeners who want to be among the first to access the song will have to pay for it. What Sony Music India is doing with "Phurrr" from the forthcoming film "Jab Harry Met Sejal" is essentially warming up listeners to pay to access the latest music, via subscriptions. Therefore, to be the first ones to listen to the song will have to pay to do so.Another step in the direction is that a sample video unit of the song will release on YouTube along with the audio on August 3. However, the full song will come out much later.Shridhar Subramaniam, President, Sony Music Entertainment, India and Middle East, said in a statement: "The concept of �everything free' will change or rather needs to change to an ecosystem where some things will be free and other things will be paid. 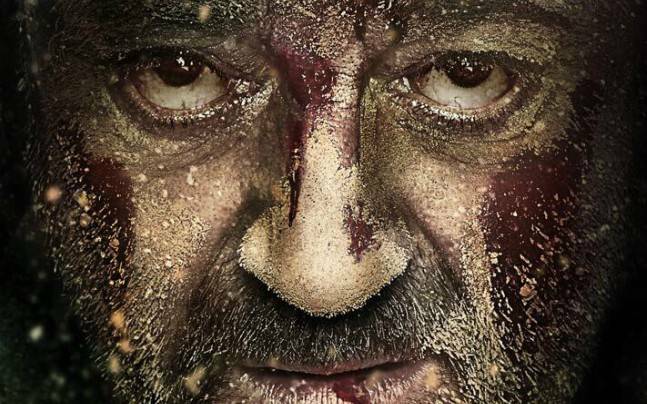 On his 58th birthday on Saturday, actor Sanjay Dutt shared a gritty and intriguing poster of his upcoming film "Bhoomi".Sanjay took to Twitter to shared the poster in which he is seen sporting a grim look. The poster has his face covered with dust and blood. The actor's eyes expresses pain and rage. "Here's presenting the first official poster of 'Bhoomi'," Sanjay captioned the image. "Bhoomi", which mark Sanjay's comeback after he was released from the Yerwada Central Jail in Pune in 2016, is an emotional and sensitive revenge drama that explores the relationship between a father and daughter. The shooting of the film took place in Agra and Chambal. "Bhoomi" also stars Shekhar Kapur and Aditi Rao Hydari. It is directed by Omung Kumar, while Bhushan Kumar and Sandeep Singh backed the film as producers. Veteran actor Anupam Kher believes that the film "Indu Sarkar", which released on Friday, belongs to its lead actress Kirti Kulhari.Anupam, who is also a part of the film, on Thursday took to Twitter and wrote: "'Indu Sarkar' belongs to Kirti Kulhari. Her transformation from a weak and vulnerable girl to discovering her strength is beautifully done. "Lauding the Madhur Bhandarkar directorial, the 62-year-old actor posted that "Indu Sarkar" is story of a "courageous woman in tough times. The period of Emergency makes it real. But it is the film and story that impacts you. "Anupam also congratulated Bhandarkar for being a great story teller.He tweeted: "Congrats Madhur Bhandarkar for your courage and craft as a film maker. Success of the (film) will be because here you are a great story teller,"The veteran also praised actor Neil Nitin Mukesh, who is essaying the role of Sanjay Gandhi, for his performance in the film. "Menacing gravity of 'Indu Sarkar' comes from a very polished and yet sustained ruthlessness of chief, played brilliantly by Niel Nitin Mukesh," he wrote. Earlier this month, "Indu Sarkar" drew a lot of controversy towards itself by the Congress. The Examining Committee of the Central Board of Film Certification had initially suggested 12 cuts and two disclaimers, including removal of words like RSS and Akali from "Indu Sarkar".The film, set against the backdrop of the 1975-77 Emergency, also features Tota Roy Chaudhary, Supriya Vinod, Anupam Kher and has characters modelled on the late Prime Minister Indira Gandhi and her younger son Sanjay Gandhi, leading various Congress leaders, including Sanjay Nirupam and M. Veerappa Moily, to slam it. Leading actress Kajal Aggarwal on Tuesday said she was shocked by the arrest of her manager in connection with a drug racket.Her manager Puttkar Ronson Joseph alias Johny Joseph alias Ronnie was arrested from his house in Manikonda here on Monday by the Special Investigation Team (SIT) probing the racket. 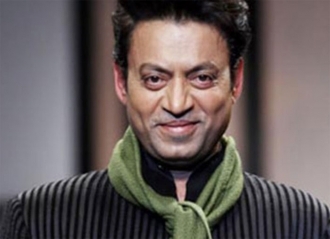 Officials said narcotic substances were recovered from his possession.Kajal said in a post on the social media that she doesn't support any activity which is detrimental to the society. "I am absolutely shocked and appalled about this whole incident with Ronnie. I'm in zero support of this and any behavior that is detrimental to the hygiene of our society. Having said that, just because I care for people who run errands for me does not imply that I can control their personal lives/choices," Kajal said in the statement on Twitter. "My parents have always managed my career and with everyone else from my industry, I share an extremely professional/cordial relationship. I'm unaware of their whereabouts and activities once their professional duties with regard to me are completed," she added.The SIT of Prohibition and Excise Department of Telangana has so far arrested 19 persons in connection with the drug racket.The investigating team is currently questioning Telugu film industry personalities for their alleged links with the main accused, Calvin Mascrenhas. It questioned six celebrities since last week.The SIT has served notice on 12 celebrities, summoning them for questioning. 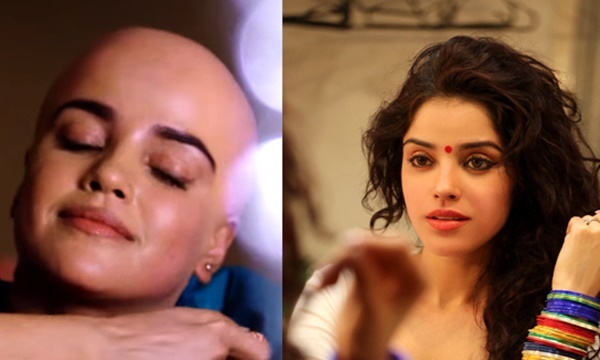 Actors Ravi Teja, Charmme Kaur and Mumaith Khan are scheduled to be quizzed this week. Superstar Shah Rukh Khan has congratulated actor and DJ Shilpi Sharma for the remix of the song "Radha" from the forthcoming film "Jab Harry Met Sejal".He also applauded her on the launch of her single "Salaam-E-Ishq".SRK took to Twitter and Facebook to congratulate Sharma. "You absolutely loved 'Radha'! Now enjoy the Official 'Radha' Remix by DJ Shilpi Sharma! Out Now http://bit.ly/RadhaDJShilpi. Shah Rukh Khan Red Chillies Entertainment," a tweet on the official page of Sony music read. Sharma has reprised the 1978 song "Salaam- E-Ishq", keeping the arrangement peppy, not messing with the infectious intro and introducing her own little jam section to the song. "I am humbled to see the support from SRK and overjoyed to see how industry leaders from Bollywoood and Television are showcasing their warmth and support to the remixed version of 'Radha' and 'Salaam-E- Ishq'," Sharma said in a statement.The DJ says this was the fourth time she was working with Shah Rukh, but the song "Radha" from the Imtiaz Ali directorial is very special to her. "Collaborating with Pritam-Da has always been an enriching experience, testing my creativity and driving me to push my own boundaries. On another note, I owe a lot to Karim Morani and family for always believing in me," she added. 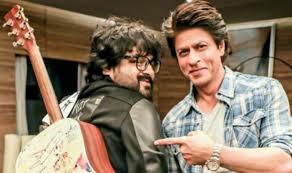 Bollywood superstar Shah Rukh Khan has gifted Pritam Chakraborty a guitar for making music for his forthcoming film "Jab Harry Met Sejal". The composer said he has put the gift on auction for charity.Shah Rukh shared a photograph of himself on Twitter along with Pritam posing with the guitar, which had the poster of the Imtiaz Ali's directorial printed behind it. "This guitar has had a 'Safar' of its own. Gave it to Pritam before the film and he gifted me the beautiful music of 'Jab Harry Met Sejal' in return," Shah Rukh captioned the image. In reply, Pritam tweeted: "Thank you sir! This gift is extremely special to me just like 'Jab Harry Met Sejal' music. To pass on the goodness, I'd put this on auction for charity. 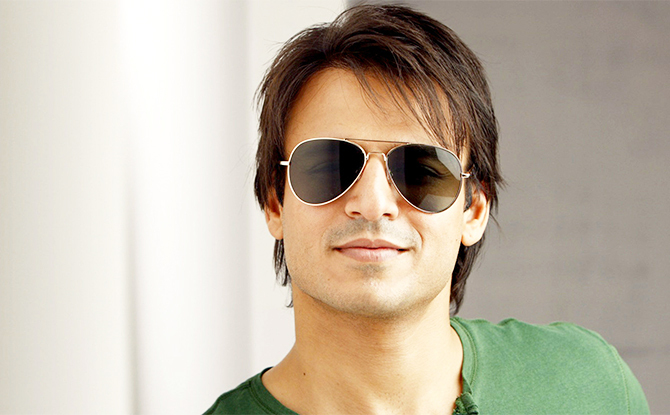 "Pritam has composed songs like "Safar" and "Radha" for the film. "Jab Harry Met Sejal" is produced by Red Chillies Entertainment. 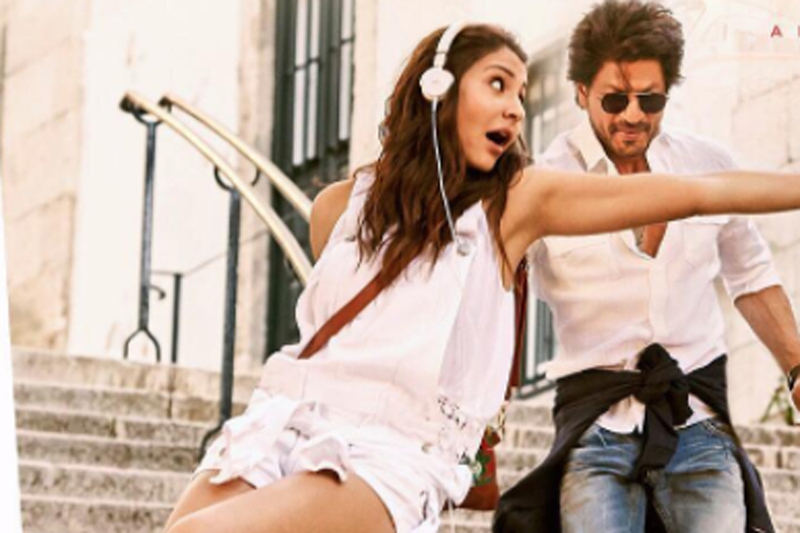 It will showcase actress Anushka Sharma essaying the role of a Gujarati girl named Sejal Jhaveri, while Shah Rukh plays a Punjabi guy named Harinder Singh Nehra. The film is all set to release on August 4. 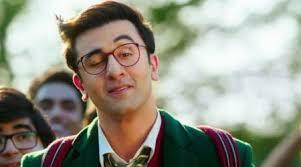 Actor Ranbir Kapoor, son of veteran actors Rishi Kapoor and Neetu Kapoor, says that nepotism does exist in the entertainment industry and he is a "disarming product" of it. Ranbir talked about the infamous nepotism debate on comedy group All India Bakchod's (AIB) "AIB Podcast" on Monday. "Our guest today comes from the family of Prithvi Raj Kapoor, Raj Kapoor, Rishi Kapoor, Randhir Kapoor, Kareena Kapoor Khan and Karisma Kapoor," said Tanmay Bhat, co-founder of AIB, while introducing Ranbir. Actress-producer Priyanka Chopra, who has also tried her hand at singing, says she does not have sufficient time to produce music and so, has not released any single for a while now.She has lent her voice to films, including her Marathi production "Ventilator", which released in 2016. But in terms of non-film music, her last single, "I can't make you love me", came out in 2014.Asked about her break from music, Priyanka said: "It is deliberate. When you do music, you have to have time and ability to promote it. I am doing so much work in terms of acting and producing so, I am not getting sufficient time to produce music. ""I always want to complete things. Last time I sang in 'Ventilator', but as of now, there are no plans to produce music," added the actress, who was here to attend the press conference of her upcoming Marathi production "Kay Re Rascala" on Friday.What about writing autobiography?The former Miss World said: "Right now, a lot of chapters are remaining in my life, but anyone who wants to write a book on me... it would be titled as �Unfinished'." Actor Varun Dhawan has praised Irfan Pathan's singing talent and he hopes that the Indian cricketer can sing for him someday.Irfan's elder brother and cricketer Yusuf Pathan had shared a video of him singing "Ae mere humsafar" from Varun's film "Badrinath Ki Dulhaniya". He captioned the video: "Kya sur lagaye hain chote miya Irfan Pathan 'Aae mere hum safar...' Singer. (What melody my younger brother Irfan Pathan has put. 'Ae mere humsafar'. Singer. )To this, Varun responded: "Kya baat hain Irfan Bhai hope you can sing for me someday...lots of love. "Directed by Shashank Khaitan, "Badrinath Ki Dulhaniya" also featured actress Alia Bhatt in a pivotal role. On the acting front, Varun is currently busy shooting for "Judwaa 2". It also features Jacqueline Fernandez and Taapsee Pannu.The film is being directed by the "Main Tera Hero" actor's father David Dhawan and is a sequel to the filmmaker's 1997 film "Judwaa" starring Salman Khan, Karisma Kapoor and Rambha. Actors Amitabh Bachchan and Aamir Khan, who are working together for the first time in "Thugs Of Hindostan", are among the nominees for the Best Actor - Male category at the Indian Film Festival of Melbourne 2017.The nominations were announced on Tuesday via a statement.Amitabh is nominated for "Pink", while Aamir is in competition for his widely lauded blockbuster "Dangal". Other nominees in the category include Rajkummar Rao for "Trapped", Sushant Singh Rajput for "M.S. Dhoni: The Untold Story" and Lalit Bhel and Adil Hussain for "Mukti Bhawan".The Best Actor - Female nominees include Alia Bhatt for "Dear Zindagi", Vidya Balan for "Kahaani 2", Tannishtha Chatterjee for "Dr. Rakhmabai", Kavya Madhavan for "Pinneyum", Ratna Pathak and Konkona Sen Sharma for "Lipstick Under My Burkha". Bollywood's evergreen 'Angry Young Man' Amitabh Bachchan says he portrays an 'angrier' version in the forthcoming film "Sarkar 3".The 74-year-old thespian took to Twitter on Wednesday night and shared a few looks of himself from the Ram Gopal Varma directorial. "'Zanjeer', they said is the 'angry young man'... Strange, on its 44 years of completion, I still play 'Sarkar 3', with angrier quotient!" Amitabh captioned the image. 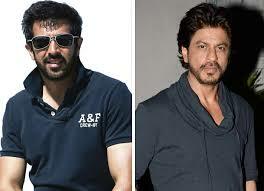 Superstar Shah Rukh Khan has collaborated with director Kabir Khan to shoot the sequel of #BeMyGuest, a promotional film produced by Dubai's Department of Tourism and Commerce Marketing.This is the second film that Shah Rukh is shooting for to promote tourism in Dubai.The first movie had won the Grand Prix award at the 10th anniversary of the International Tourism Film Festival "Tourfilm Riga", held in Riga, Latvia.Shah Rukh arrived in Dubai on May 6 to shoot the new film. "I think it is really nice. 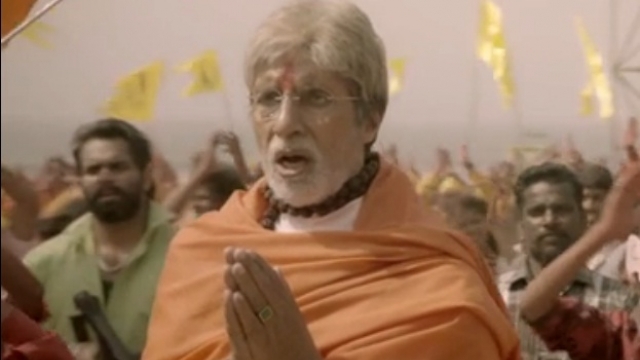 ​Megastar Amitabh Bachchan, who has lent his voice to a Ganesh aarti in the upcoming film "Sarkar 3", says it is powerful and divine.Amitabh tweeted a link to the devotional track, and captioned it: "The Ganesh Aarti sung by me for 'Sarkar 3'...The aarti perhaps one of the most powerful and divine. 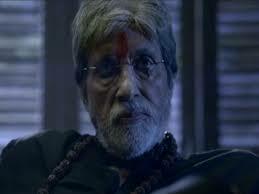 "Directed by Ram Gopal Varma, "Sarkar 3" is the third installment of the "Sarkar" franchise. The political crime thriller film also stars Amit Sadh, Yami Gautam, Jackie Shroff and Manoj Bajpayee. After Morocco and Vienna, the team of "Tiger Zinda Hai" will shoot in Abu Dhabi over a 65-day schedule from May 4 at multiple locations in the city. A set is being designed by some of those workers who helped to build the "Star Wars" set in 2013.The Yash Raj Films (YRF) project is a sequel to the blockbuster film "Ek Tha Tiger". Directed by Ali Abbas Zafar, it features superstar Salman Khan and actress Katrina Kaif, who are both happy to be shooting there.Salman said in a statement: "'Tiger Zinda Hai' is a film of sizeable scale and context. Abu Dhabi, with a variety of locations, and gracious hosts, is ideal to shoot for a film like this one. I hope that the entire unit will enjoy our time here." Television actress Smriti Khanna, who is seen in "Santoshi Maa", is giving importance to fitness and has taken up swimming classes for it.Smriti also says that she feels rejuvenated after joining swimming classes. "Being an actor is a full time job so its important to remove time for yourself. After I joined swimming classes I feel so fresh and rejuvenated, its kind of therapy and it helps me a lot to be active the whole day," Smriti said in a statement.The actress plays the role of Parvati Mata in the &TV's show. "I guess its all about being fit internally and externally. I am glad I have taken up something which makes me happy within," she said. Bollywood celebrities including Karan Johar, Ayushmann Khurrana and Huma Qureshi have wished actor Varun Dhawan a happy and a prosperous year on his 30th birthday on Monday.Varun, who is the son of filmmaker David Dhawan, started his career as an assistant director to filmmaker Karan Johar in "My Name Is Khan". He made his acting debut with 2012 romantic comedy "Student of the Year" and ever since he has featured in films like "Main Tera Hero", "Humpty Sharma Ki Dulhania", "Badlapur", "Dilwale", "Dishoom" and "Badrinath Ki Dulhania". Varun is currently busy shooting for "Judwaa 2". Here is what the celebrities had to say:Karan Johar: Happy birthday Varun Dhawan. Big love to you and bless you always! Have a super year. Superstar Shah Rukh Khan has confessed that he doesnt know what to say when someone asks him to describe himself in one word or in one minute.The actor said it has taken him over 50 years to "understand about 10 per cent" of himself, so how can he express it to people within a minute. "When in a 30-seccond or a one-minute byte, I am asked ‘Can you describe Shah Rukh Khan in one word as a person?' This is something I don't know at all. How do I describe anyone, let alone me, in one word and that also in a one-minute interview? It has taken me 52 years to understand about 10 per cent of who I am, let alone try to express it to people within a minute," Shah Rukh said in a statement. Tinsel town stars Amitabh Bachchan, Farhan Akhtar and Anupam Kher wished Bollywood's "tough guy" Akshay Kumar a "greater year" on his 49th birthday on Friday. Akshay, who is also popular as the 'Khiladi' of Bollywood, has been a part of the Hindi film industry for over two decades. He has featured in movies like "Mohra", "Main Khiladi Tu Anari", "Khiladiyon Ka Khiladi", "Sangharsh", "Mujhse Shaadi Karogi", "Namastey London", "Bhool Bhulaiyaa" and the recently released "Rustom" among many others. Bollywood actor Emraan Hashmi, who was joined by his son Ayaan on the Lakme Fashion Week (LFW) Winter-Festive 2016 ramp, says the six-year-old has already decided to follow in his father's footsteps and be an actor when he grows up. During a media interaction here, the "Azhar" actor shared that his son loves the limelight.So when asked Emraan if his son is already an actor in the making, he said: �He has already decided to be an actor. I don't impose my ambitions on my son. He can be a doctor, an officer or a scientist or whatever he chooses to be." Actress Alia Bhatt is beaming with joy upon working with superstar Shah Rukh Khan -- who she admires for his professionalism -- in Dear Zindagi It was absolutely amazing (experience of working with Shah Rukh). It was such a beautiful experience to work with him. He is so professional Alia told over phone. Bollywood actress Katrina Kaif, who turned a year older on Saturday, has marked her debut on social-networking site Facebook. Katrina, who already has over 3,000,000 total page likes as of now, has put up a beautiful black and white photograph of herself as her display picture and her cover photo shows her standing against the backdrop of a beach. Actor Hrithik Roshan says he was "taken aback" by the courage of actress Pooja Hegde, who is set to make her Bollywood debut with filmmaker Ashutosh Gowariker's film "Mohenjo Daro". Pooja was recently unveiled and introduced to the media by Hrithik at an event which was attended by the entire cast and crew of the film, including Oscar-winning music director A.R. Rahman.